With Campina Professional dairy products, chefs can get to work without having to worry. Campina Professional provides chefs with a reliable range of creams that suits their needs. We use all our knowledge of dairy products so that we can provide the chef with good quality, natural and affordable dairy products. Dairy products with a good taste, great functionality and agreeable prices. As such, with the quality Campina Professional range, you are always able to prepare accessible dishes for a wide and diverse audience. 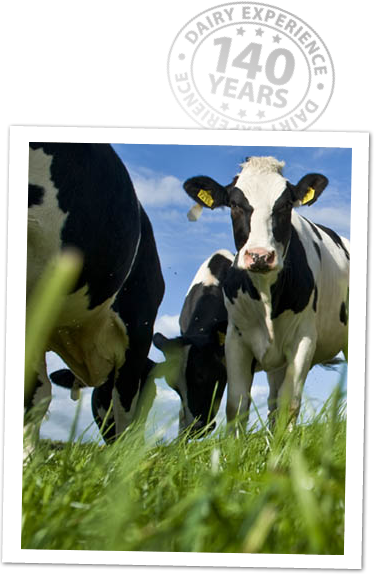 It all began when the first South Netherlands dairy cooperative was founded. Years later, the Campina brand was introduced, first in stores for consumers and later on for professionals. FrieslandCampina is rightly proud of its long and successful history, building up to more than 140 years of dairy experience. If only because our dairy products are just as delicious today as they were back then.